Interactive CD-ROM. A journey through a digital era on the notions of femininity, intimacy, identity and time. 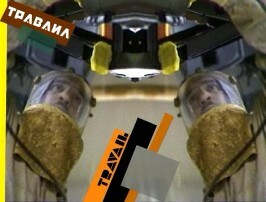 Interactive DVD-ROM on the demolition of Renault factory in Paris. Interactive DVD-ROM. This work has been realized with A.C.E.V. and their illiteracy program, which targets families of low income and socio-economic level. 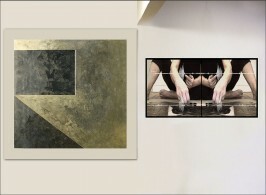 Paintings on canvas : mixed media with gold and silver paint. 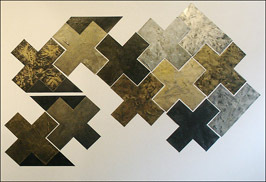 Installation : Video tape 14' and painting on canvas. The video is, about painterly gestures, the spatula and the paint . The sound of metal and paint itself interacts with the canvas next to the monitor. 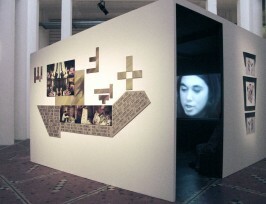 Installation : video tape 20', photographs, texts and painting. Third version of Turkish and Porteguese immigrant workers in Paris. Video tape 10' on lapidation and stoning to death of women. A video performance for the 25th International Day for the Elimination of Violence Against Women.